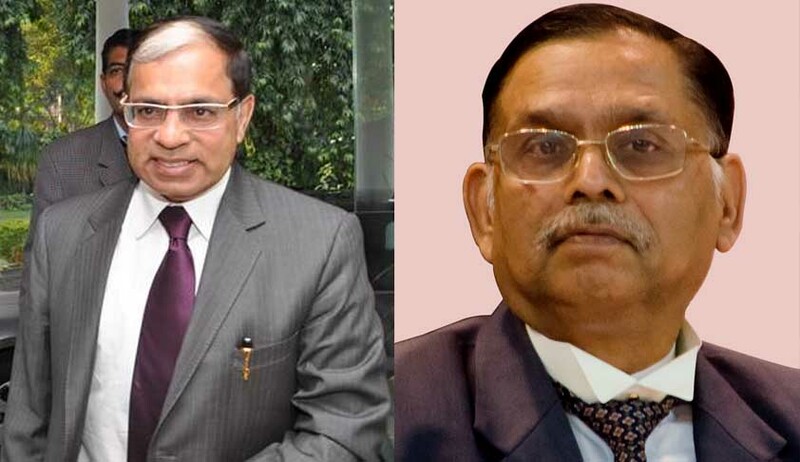 The Supreme Court bench of Justices A.K.Sikri and Ashok Bhushan today concluded hearing arguments in the petitions challenging the validity of Section 139AA of the Income-Tax Act, which makes Aadhaar mandatory for filing Income-Tax returns. Senior counsel for the petitioners, Arvind Datar today continued his arguments on why the impugned provision must be struck down. However, before he could go to the heart of the matter, Justice Sikri pinned him down on the question of how, according to Datar, Parliament could change the basis of the Supreme Court’s interim orders in the Aadhaar case, and thus avoid transgressing separation of powers, a basic feature of the Constitution. Datar then took the bench to the sequence of events starting from the beginnings of Aadhaar as a scheme, to the two interim orders of the Court on August 11 and October 15, 2015, restraining the Government from making it mandatory, the enactment of Aadhaar Act, and extending it to purposes other than those specified in the orders. While doing so, he conceded that the Court’s orders could not restrain Parliament from enacting a law; but Parliament could do so, only if it changes the basis of the Court’s orders, before amending the Act. In Datar’s view, Parliament, while inserting Section 139AA of the Income Tax Act, did not change the basis of the Supreme Court’s two interim orders in 2015. This led to Justice Sikri asking a pointed question on how, according to Datar, Parliament could have changed the basis of those orders. Datar then conceded that Parliament could do so only by amending the Aadhaar Act, 2016, to make it mandatory for all purposes. Otherwise, he suggested Parliament’s very competence to enact a law, which is contrary to the orders of the Court, could come under question. Datar explained that the Aadhaar Act, 2016 and Section 139AA of the Income Tax Act have led to an accidental collision, which had never happened earlier. While Aadhaar Act clearly envisages voluntariness, Section 139AA of the IT Act, makes it mandatory. “Parliament can’t pass a contradictory law on the same subject”, he pointed out. He then cited an instance of Parliament first requiring all doctors to serve in rural areas for two years, in order to get x,y,and z benefits. This is purely voluntary, and those doctors, who want to get those benefits, will serve in the rural areas; those who don’t want those benefits, won’t serve there. If Parliament, after a few days, amends the Medical Council Act, to hold that the licence of those doctors who don’t practise in the rural areas would be suspended, would it be valid, he asked. Pointing out that Aadhaar Act and Section 139AA have led to similar absurd and ridiculous results, he urged the bench to adopt harmonious construction, and read down the new provision in the IT Act making it mandatory, if it is not possible to strike it down. Datar then pointed out Section 139AA was adopted in Parliament, without a debate. The Finance Minister, Arun Jaitley, only chose to reply to a question, posed by a Member on the issue, when the Amendment Bill came up for passage, it was revealed to the Bench. Like a herbal product, Aadhaar for IT returns, is promoted as a panacea for all ills – be it black money, duplicate PAN cards, terrorism and so on, Datar quipped. If it is such a significant legislative measure, why was it not referred to a Standing Committee for detailed consideration, he asked. He revealed that any amendment of the IT Act earlier was always preceded by studies, undertaken by experts, whereas for Section 139AA, no such detailed study was done. When the Government counsel, Arghya Sengupta pointed to the random sampling, which was carried out, Datar dismissed it saying it was not the answer, casting doubts on its objectivity. If according to the Government, only 0.4 per cent of PAN card holders are duplicates, is it fair to subject the 99.6 per cent of the remaining PAN card holders to harassment by making Aadhaar mandatory for them, Datar asked. Calling Section 139AA of the IT Act as the first encroachment, in overruling the Supreme Court’s interim orders in an impermissible manner, he cautioned the bench to nip it in the bud, before further violations take place with impunity. Datar outlined three options before the bench: strike down Section 139AA as unconstitutional, read it down, or stay the provision, if it wants to refer the case to a larger bench. Senior counsel, Salman Khurshid, who represents the lead petitioner, Benoy Vishwam, in his brief submission, emphasized that the right to dignity, which is distinct from the right to privacy, ought to be protected by the bench in this case, following the precedent set in the NALSA case. As the bench reserved its judgment, counsel expect an interim order, before the summer vacation begins.